Maybe it’s because the players are so darn resilient. “It’s unbelievable,” interim coach Matt Canada said. “These kids are special, what they go through and how they came back. They’re awesome. “It’s been an emotional three days for our football team,” coach P.J. Fleck said. After taking the blame for the loss to Temple — a 35-14 embarrassment — Canada deployed an offense against Minnesota that averaged 8.5 yards per play. Against Temple, the Terrapins didn’t score a touchdown on offense. The Owls jammed the line of scrimmage to choke the running game, and Maryland quarterback Kasim Hill threw for 56 yards and was intercepted once. Watson’s 36-yard interception return made it 28-10, and a 64-yard touchdown run by McFarland later in the quarter essentially clinched it. Johnson’s 81-yard run made it 14-0. “When you’re down 14-0 before you know it, everything changes,” Fleck said. Maryland was penalized 10 times for 118 yards. Minnesota’s only penalty was for a 15-yarder with just over four minutes left. “We had too many penalties. We have to get that cleaned up,” Canada said. Minnesota: A team with 52 percent freshmen finally showed its youth and inexperience. It became apparent early that the Gophers’ bid to go 4-0 for the first time since 2013 was not going to happen. 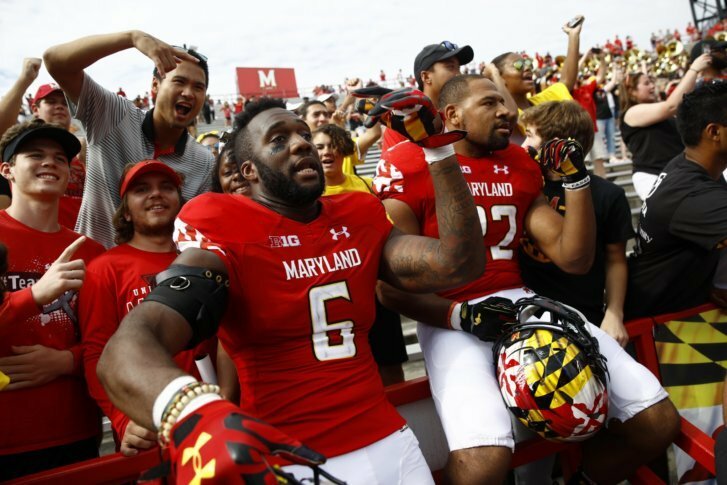 Maryland: It’s hard to figure out the Terrapins. Was this really the same team that finished with 195 yards (63 passing) against Temple?